For the SR 1 Sergio Rossi 2017/18 collection I designed the monastic capes for this highly choreographed presentation. Set in an abandoned church in the heart of Milan, the models were seen walking inside an architectural structure (which happen to be the headquarters of famed Milanese firm CLS Architects). 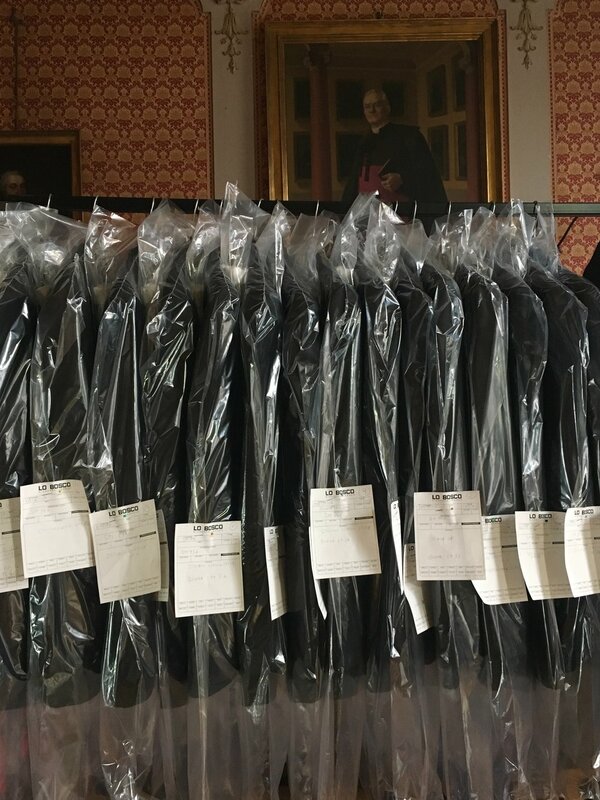 Thanks to the help of sartorial craftsmanship by Lodenthal in Rome, my team and I envisioned two capes and made them into one, keeping the double hood and hems. The result was a whimsical movement at every model's step and added mystery and drama with the exaggerated hoods. As a reference to the this year's SR1 shoe-collection, I had rings made as brass-knuckles for the models, shaped with the same metal flowers that decorate the shoes. Sergio Rossi, the renowned footwear brand from Italy, hired me to design costumes for their presentation during Fahion Week in Milan. 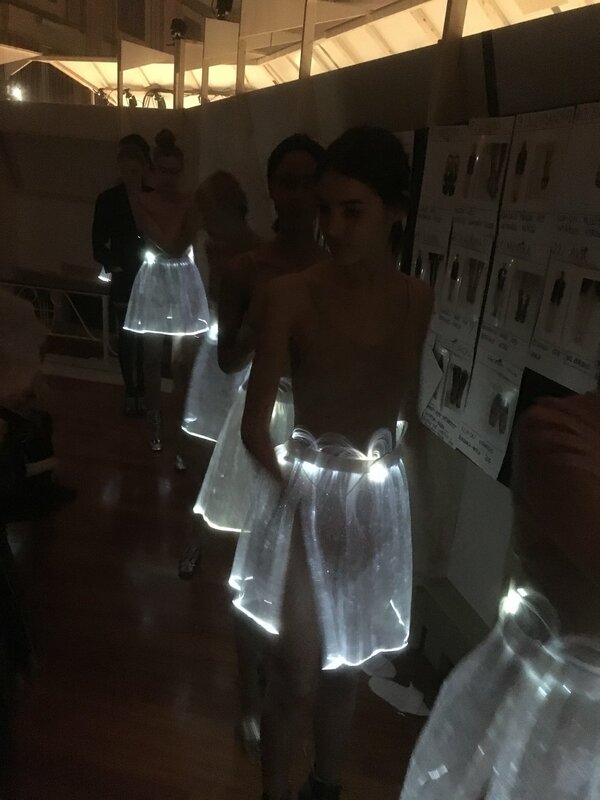 The set, designed by Patrick Kinmonth and Antonio Moffreda, was a metallic corridor, from which 24 models walking in a loop in a barely lit environment were seen only from the waist down, wearing the designs of the FW 2017 collection.. The challenge was to create wardrobe that would give an effect without over-staging the shoes. 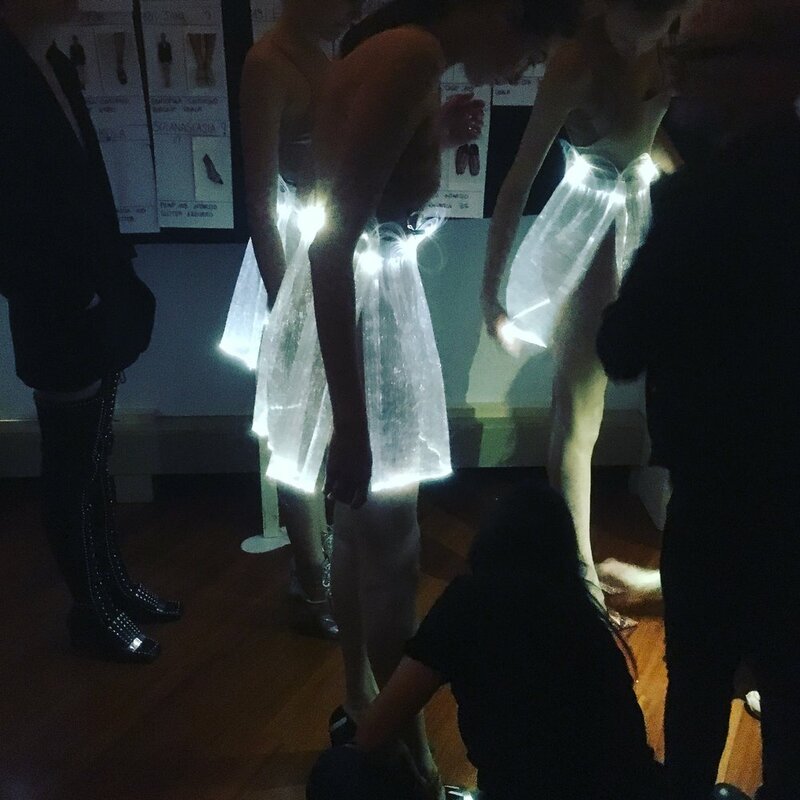 I designed a skirt made of LED fabric, which glows in the dark, like stardust barely visible but of great visual impact. 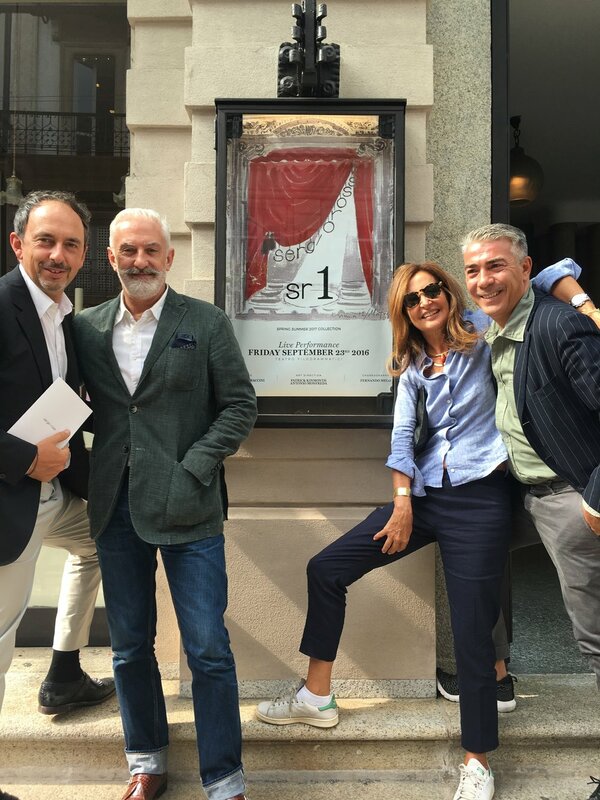 For the launch of the rebranded Sergio Rossi label, I designed all costumes for their show during MfW for which a ballet coreographed by the great Fernando Melo was the center-piece. 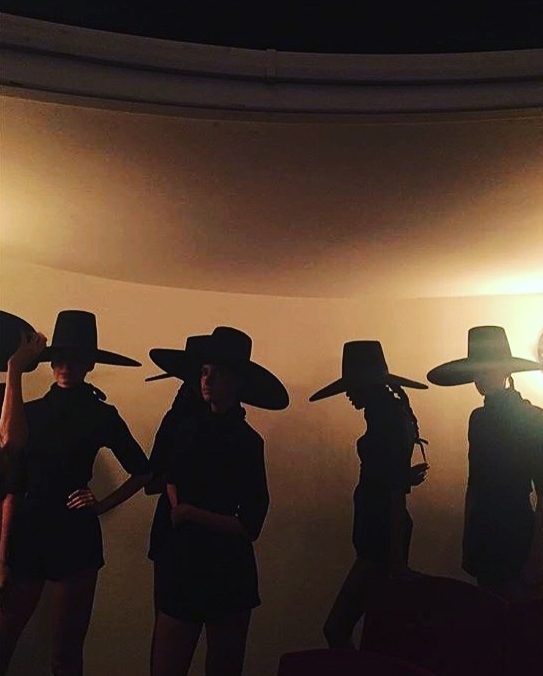 The 20 minute performance was preceded by models on stage wearing the new Sergio Rossi collection, for whom I designed shapely shorts and tops with enhanced hips and shoulders, and designed an exaggerated hat to conceal the model’s face, to create a silhouette that was unified yet geometric. For the dancers in the performance, I chose to style them with every-day pieces (like pajama tops or pants) strategically tailored to allow movement. 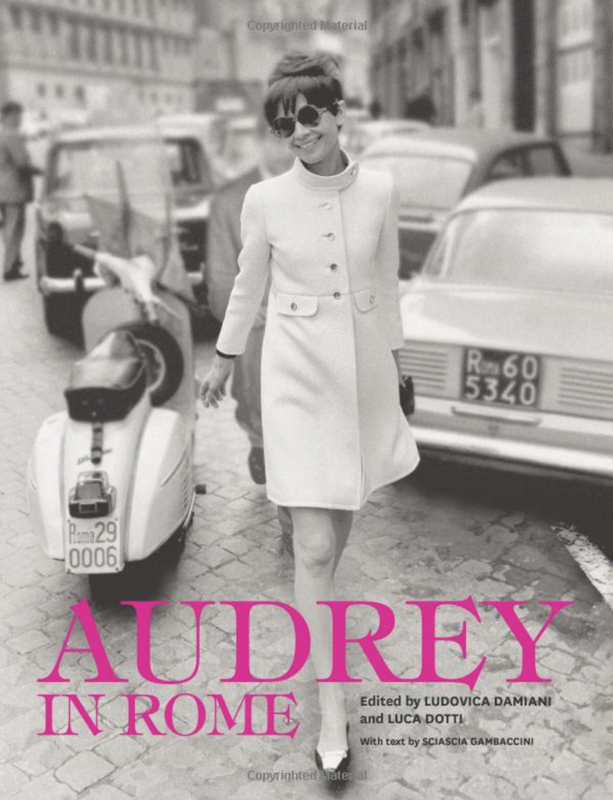 Audrey in Rome is a gorgeous coffee table book that includes almost 200 candid photographs of the movie star—many of which have never been published before. These rare snapshots give us glimpses into the everyday life of the gamine star of such classic films as Roman Holiday, Breakfast at Tiffany’s, Sabrina. An exibition and tribute to the unforgettable Audrey Hepburn: unpublished shots, videos and personal belongings from one of our icons of the 1950s who lived in Rome for almost 30 years. For this exibition at the Museum dell’Ara Pacis in Rome, Italy, I curated the personal effects (wardrobe, accessories, luggage) from the late actress’ archives and selected the pieces to be displayed. 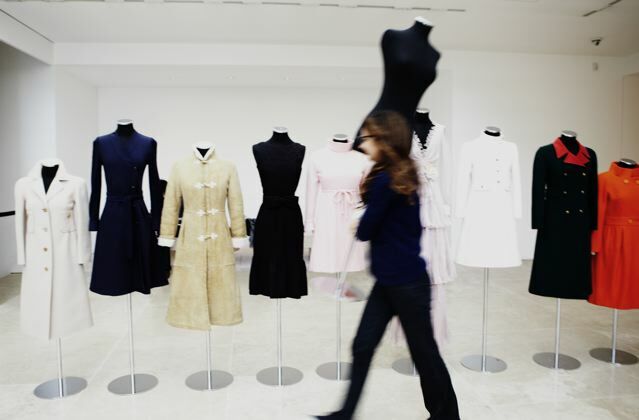 I extensively researched the designers and fashion houses of provenance for many unseen garments of Hepburns’ archives, and organized a visual itinerary at the Museum in which every fashion piece was displayed. At the same time I co-wrote a book “Audrey in Rome” in which material from the same show was published and further examined.